In Greek mythology, Thalia was one of the nine Muses - the goddesses who inspire poets and musicians to create their art. Thalia is also the name of one of the three Graces, the supernatural embodiment of beauty and charm. To inspire, enrich, and educate musicians and the community at large through the performance of outstanding symphonic music. The Thalia Symphony Orchestra is run by a board of directors that includes both orchestra players and non-musicians. The board manages all non-musical aspects of the orchestra (e.g., insurance, corporate registration, promotion, finance, fund-raising, etc.). The board also commissions a Repertoire Committee of musicians to act as a resource for the Music Director for the coming season. The Music Director works with the Repertoire Committee to make final program decisions. Thalia is essentially a volunteer organization. Our sources of income are ticket sales and donations from businesses and individual supporters. We are a 501(c)3 nonprofit organization. The Thalia Symphony Orchestra was founded in 1948, making it one of the oldest community orchestras in Seattle. 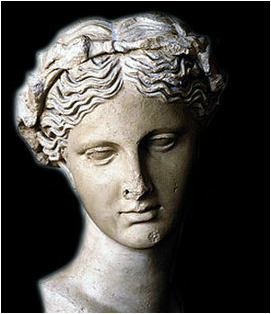 The name Thalia comes from the muses of ancient Greece. The muse Thalia presided over comedy and lyric poetry. With this inspiration in mind, Thalia Allied Artists was founded in 1949, primarily to produce opera. The name was significant to them as it refers to the great variety of art involved in opera and shows loyalty to the Greco-Roman ideals of artistic excellence. The organization included an orchestra needed to support operatic productions, which they named Thalia Symphony. Thalia’s first season included Madame Butterfly and Englebert Humperdinck’s short opera Hansel and Gretel. After that season its leaders recognized that full opera productions exceeded their long-term capability, and they reduced their scope to production of the smaller musical theater pieces. Their other offerings ranged from chamber music, choral presentations, and symphonic music to youth and adult education. Their community workshops covered dramatics, poetry writing, music appreciation, singing, and even folk dancing and puppetry. In time, the orchestra became the centerpiece of TAA’s operations. Thalia Symphony Orchestra primarily performs music from the late 18th century to the present. We tend to draw on works that call for a modern “full size” orchestra, complete with full brass and large string sound. While many orchestras premiere newly written works, TSO takes pride in having premiered works of historical significance that had been unjustly forgotten. One example is the only symphony written by Edvard Grieg. Soon after Grieg wrote his Symphony in C minor in 1864, he impetuously withdrew it. It stayed tucked away in a library until finally in 1981 it was revived in Bergen, Norway. Only a handful of American orchestras had performed prior to Thalia Symphony’s Pacific Northwest premiere of the piece on March 30, 2008. In 1997 Thalia Symphony performed the American premiere of Edvard Tubin’s Violin Concerto. This extremely important Estonian composer had escaped to Sweden, avoiding almost certain death when the Soviet troops invaded the Baltic in 1944. We located the music after an intensive four-country search. In 1990 Thalia Symphony was the second American orchestra to perform Hans Rott’s Symphony in E Major. Rott was a student of Bruckner and college associate of Gustav Mahler who never gained public acceptance in his lifetime. Rott took his symphony to Brahms in 1880 only to receive a heavy-handed rebuke. Shortly after that, Rott fell into paranoid delusions. He was committed to an insane asylum and died there of tuberculosis at the age of 25. Mahler saw Rott’s death as an inestimable loss to music. Since hitting the world stage in 1989, Rott’s symphony has been featured in an article in the New York Times, and its CDs have remained a top seller for their publisher. Povilas Stravinsky, grandson of Igor Stravinsky, performed a Bach piano concerto with us in January 2006. In May 2009, Thalia was pleased to present Li Bo, Mongolian master of the Morin Khuur (or horse head fiddle) who performed his composition “Tale of Matou Qin.” His virtuosity was truly breathtaking. At over 950 titles, the Thalia Scheremetiew library is one of the largest private music collections in the Pacific Northwest. The library was named for Mikael Scheremetiew in honor of his intense personal commitment and great foresight in building this collection. He and other members of the orchestra routinely donated sets of music. The library has enabled Thalia Symphony to rehearse and perform an extremely wide range of music. ​Maestro White our new Music Director and Conductor has performed across the United States and Europe including the Spoleto Festival, Virginia Opera, Bronx Opera, Connecticut Philharmonic, Pittsburgh String Consort, Swiss Radio Orchestra of Lugano and the Martinu Symphony Orchestra in the Czech Republic. In additional to performing experience, Maestro White has also worked with the Seattle Symphony, Seattle Opera, Seattle Chamber Players, Philharmonia Northwest and Northwest Mahler Festival. Maestro White has served as Music Director of the Rainier Symphony and Seattle Civic Light Opera, and Conductor for Seattle Mandolin Orchestra prior to joining Thalia Symphony Orchestra. Maestro Miropolsky, the Assistant Principal Second Violin with the Seattle Symphony Orchestra, and our former Music Director and Conductor has served as principal violinist with the Moscow State Symphony, performed with the Radio and Television String Quartet in many countries around the world, and recorded internationally on the Melodia label. He is both the founder and conductor of the Jewish Community Center Chamber Orchestra, conductor of the Northwest School Orchestra in Seattle, served as a faculty member for the University of Puget Sound, founded and conducts the Seattle Conservatory of Music Chamber Orchestra Young Virtuosi, and also currently serves as the Music Director of Cascade Symphony. Maestro Radcliffe took the helm of the Thalia Symphony beginning with the 2010 – 2011 season, and was instrumental in injecting a new surge of creative energy. The orchestra moved its rehearsals to Roosevelt High School and performance venue to Town Hall, and and officially changed its name to the Thalia Symphony Orchestra. Radcliffe is the founder and Music Director of the New York Chamber Ensemble, Artistic Director of the Cape May Music Festival, Principal Guest Conductor of the Hungarian Virtuosi, and Principal Conductor of the Seattle Youth Symphony, the largest organization of its kind in the United States. Dr. Eric Hanson has been Director of Instrumental Music at Seattle Pacific University since 1979, and Thalia was privileged to have him at our helm from 1987 to 2010. He has conducted dozens of orchestras across the US and is a frequent guest conductor of the Northwest Mahler Festival. Dr Hanson continues to be a popular lecturer for the Seattle Symphony and is widely known as an eminent Mahler expert. In 1994, Dr. Hanson negotiated an innovative arrangement in which Thalia Symphony became Orchestra in Residence at Seattle Pacific University. 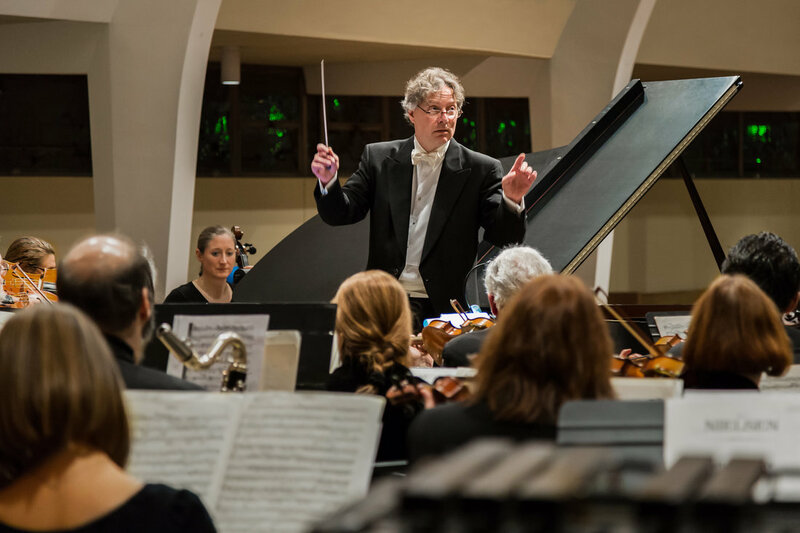 SPU students were able to earn college credit by playing in the orchestra, and were exposed to a larger, fuller orchestral experience than might otherwise have been available to them. SPU provided generous support including rehearsal space, performance space, and publicity assistance. Stanley Chapple’s career is almost legendary. He began conducting at age 19 when he was hired as director of the City of London School Opera. At age 21 he appeared as guest conductor with London Symphony Orchestra. In 1930, the Berlin Philharmonic Orchestra invited him to appear with them as guest conductor, and he quickly became in great demand throughout Europe. Chapple spent WW2 in the United States, among other things conducting the National Symphony Orchestra. In 1948 he was invited to direct the University of Washington School of Music, where he stayed until he retired in 1971. During the period from 1948 to 1954, he also conducted many of the concerts for the Seattle Symphony . After retirement, Stanley Chapple was far from finished. At the request of the then Mayor of Seattle, he founded the Musicians Emeritus Symphony Orchestra, which continues today as the Seattle Festival Orchestra, and he took the reigns of Thalia Symphony in 1977. Founding Thalia Youth Symphonies in 1964, which continues today as the Bellevue Youth Symphony Orchestras. Founding Olympic Music Camp, a summer program for students, which ran from 1964 through 1997. Founding the Thalia Chamber Orchestra to concentrate on chamber-sized works. Frances conducted the Thalia Chamber Orchestra from its beginning in 1972 until 1990, and the orchestra continues to operate today as Philharmonia Northwest. He took chamber operas such as Hansel and Gretel and Amahl and the Night Visitors on tour across Washington. KING Television aired Granny’s Magic Book, a “songplay for children and adults,” on June 5, 1953. This featured book and lyrics by Thalia’s drama director and music by Scheremetiew. He appointed Frances Walton as Associate Conductor in 1954, at a time when a woman on the podium was unheard of. He performed new works from contemporary composers, including Gerald Kechley and George Frederick McKay. Currently, the Thalia Symphony Orchestra performs at St. Stephen's Episcopal Church at 4805 NE 45th St in Seattle. Prior to that the Orchestra performed at Town Hall in Seattle. For many seasons, up until 2010, the orchestra performed at First Free Methodist Church. Early on the orchestra performed at Evergreen College in Olympia, at the University of Vancouver in British Columbia, and summer concerts outdoors at the Rhododendron Preserve in Bremerton. The orchestra has also performed at Shorecrest Performing Arts Center in Shoreline, Rainier Beach Performing Arts Center in Seattle, Northshore Performing Arts Center in Bothell, and First Presbyterian Church in downtown Seattle. The orchestra generally rehearses at Roosevelt High School, but has called several places “home” during its lifetime, including Plymouth Congregational Church basement, downtown Seattle, Diocesan House, Episcopal Diocese of Olympia, on Capitol Hill in Seattle, Piggott Auditorium at Seattle University, Shoreline Community College, Seattle Central Community College, and Seattle Pacific University. Rehearsals are held Tuesday evenings, 7:30-10pm.